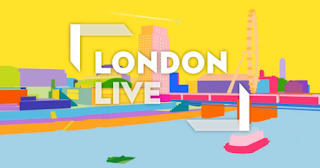 London's local TV service London Live made an overall operating loss of £11.6m in the year ending September 2014, covering the first six months on air. From its launch in March 2014 through the end of September 2014, London Live's revenue was £1.3m. Evening Standard owner ESI Media, which operates the channel, said that the channel's trading loss for the same period was £10m excluding exceptional start-up costs and year-end accounting adjustments, but that operating losses were expected to fall by nearly half in the year to September 2015. Despite a troubled existence on air and requests to reduce local content, plus job cuts, ESI Media says the channel has seen an upturn in viewing figures, with 2.5m adults watching the channel in May 2015, up nearly 200,000 on April.